I am now upon another work; as hard almost as to make Mr. Hobbes understand a demonstration. It is to teach a person dumb and deaf [Daniel Whalley] to speak, and to understand a language: of which he could do either, the other would be more easy; but knowing neither, makes both the harder. And although the former may be thought the more difficult, the latter may perhaps require as much of time. For, if a considerable time be requisite for him, that can speak no one, to learn a second language; much more for him, that knows none, nor hath so much as the advantage of speech. The letter provides an expansion on Wallis’ thoughts and approaches to his ideas on language, communication, and the importance of speech. He implemented his theories in 1661, when he instructed twenty-five year old Daniel Whalley from Northampton, who had been deaf since the age of five, to understand the structural elements of language and speech. For as one, who knows very well how to write, and hath a good command of his hand, yet if he want either sight or light, will hardly write well; the like must be expected in a deaf man’s speaking; for, as then the eye guides the hand, so here, the ear the tongue. But as to the language, I know not but that he may, by writing, both express his own, and understand the conception of others, as well as other men; and so to converse with men, as we do with the ancients, or persons distant, which is no small advantage in human affairs: and may very much supply the defect of speech. Only after the pupil learnt the meanings behind the words he expressed and the articulation of these words, that they could comprehend the language that they spoke. Drills, formal instruction and a strictly sequenced curriculum built upon a strong vocabulary could provide the necessary tenets for speech. the position and motion of the fingers, hand, or any part of the body which may be in stead of written letters. For example, that the vowels may be noted by the ends of the five fingers; the other letters b, c, d, &c by other positions and motion, as may seem convenient, and as may be agreed. This system was not unique to Wallis, however. It was not only introduced by Bonet’s work, but was prevalent among British philosophers at the time, especially those working on a universal character. Although Wallis did not doubt the importance of a universal character, or whether a philosophical language could be conceived, he placed a greater emphasis on writing as a way to bridge language and speech by teaching the deaf what words expressed in sign corresponded to sounds. This was groundbreaking for the education of deaf-mutes, for Wallis implied that all deaf-mutes should be provided instruction to read and write in order to master the elements of speech. I have Philosophically considered the Formation of all Sounds used in Articulate Speech…By what Organs, and in what Position each sound was formed; with the nice distinctions of each, (which in some letters of the same Organ, is very subtile) So that, by such Organs, in such Position, the Breath issuing from the Lungs, will form such Sounds, whether the person do or do not hear himself speak. Which was, I think, a new attempt, not before undertaken by any (that I knew of) before that time. Clearly Wallis was stressing the importance of speech as a means for communication. He did, however, suggest that deaf people had their own separate language, signing, and it was necessary to build upon that language in order to properly teach them how to read and write in the common vernacular. Additionally, since Wallis had already established himself as a grammarian, he concentrated himself on designing effective means to educate the deaf the phonetics of sounds necessary for pronunciation. In all likelihood, it might be more accurate to define Wallis as the first modern phonetician as well as an educator for the deaf and dumb. On May 14, 1662, Wallis gave a report to the Royal Society presenting an account of his initial progress with Whalley. At the request of the Society members, Wallis presented the young man at the next meeting on May 21 in order to demonstrate the effectiveness of his teaching skills in being the first to teach a deaf-mute to speak; Whalley was subsequently paraded in front of the King. Wallis’ success with Whalley attracted the attention of Anne Wharton (d. 1692) who consequently employed Wallis’ service in instructing her son, 12-year-old Alexander Popham, a deaf-mute from birth, to speak. While Whalley’s case earned Wallis success as a teacher of the deaf, his work with Popham ultimately enrolled him into a vociferous dispute with William Holder (1616-1697) over priority of credit for teaching Popham to speak. Beginning in 1659 in Bletchington, England, Holder was employed to teach Whalley to speak, read, and write. Both Wallis and Holder emphasized the importance of using both speech and writing as an integral aspect for comprehension of language, but Holder concentrated more on the learning of the alphabet, arguing that the alphabet was linked to speech. Holder also developed special signs to enhance lipreading and articulation. Unlike Wallis, who favoured speech for educating deaf-mutes but saw it separate from general education, Holder merged all elements of speech and language as integral aspects for education. Whatever Holder’s effectiveness was in teaching Popham, it is evident that it was his departure from his pupil, rather than his methods, that prompted the boy’s family to employ Wallis in Holder’s absence, as Popham’s speech had lapsed during Holder’s absence. Around 1663, Wallis presented to the Royal Society his success with Popham, without providing a reference to Holder’s previous work. Wallis’ claim to priority was reflected in his letter to Boyle, which was printed in the Philosophical Transactions in 1670. Outraged, Holder argued he had already provided an appendix to his Elements of Speech (1669), stating his priority. Additionally, he published a response to Wallis’ letter to Boyle, stating that Wallis had already known it was possible to teach deaf-mutes how to speak, having seen Holder’s account of his work with Popham in the Elements. Wallis promptly produced a reply, sharply rebuking Holder’s accusations and stating that he was unaware of Holder’s work and that the letter originated in fact, from 1662, far earlier than Holder’s publication of the Elements. The dispute remained unsolved during the seventeenth century. The 2006 discovery of Alexander Popham’s notebook opens exciting insights for discovering the validity of both Wallis’ and Holder’s claims to priority. It would be interesting to research this new source, but for the time being, clearly the dispute raises a wider question about the importance and nature of claiming priority. Besides the obvious, both Wallis and Holder appeared to have recognized the significance of not only presenting a successful account of their respective work in languages, but also in providing a means to effectively integrate the deaf into hearing society. A cure for deafness, long sought through the ages, could be interpreted as an educational project; only by teaching a deaf-mute to read, write, speak, and understand, the philosophers could in fact, present an alternative cure to complete hearing restoration. The significance of this was obviously not lost on the philosophers. Wallis’ work is largely mentioned only in passing of the larger universal language schemes or within the context of his dispute with Holder. Sutton-Spence does provide a brief analysis of Wallis’ educational methods, but she does not delve further to parallel Wallis’ work as a proponent of universal language projects. Likewise, Branson and Miller analyze Wallis’ role as the founder of British education of the deaf, but their analysis of his place within the seventeenth century’s “search for the perfect language” are superficial and they do not expand on their discussion of Wallis’ work on language. Branson and Miller, Damned for their Difference, p.79. 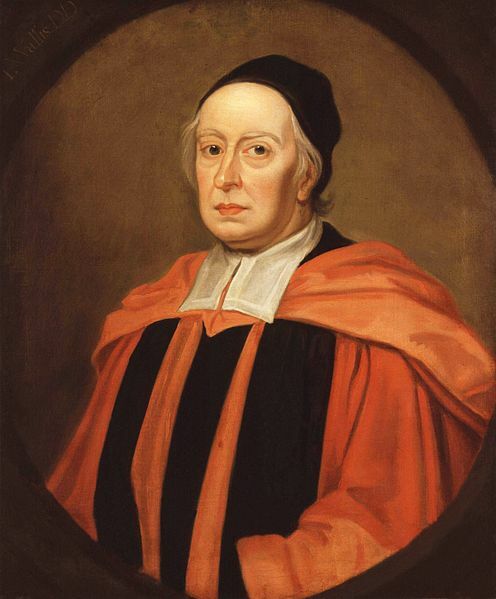 John Wallis, “Letter to Boyle, Oxford, 30 December 1661/[9 January 1662],” in The Correspondence of John Wallis (1616-1703) Volume II, eds. Philip Beeley and Christoph J. Scriba (Oxford: Oxford University Press, 2003), p.47. Sutton-Spence, “British Manual Alphabets,” p.40. Branson and Miller, Damned for their Difference, p.80. Wallis, “Letter to Boyle,” p.49. Quoted in Sutton-Spence, “British Manual Alphabets,” p.34. Bodleian Library MS. Smith 3, reprinted in Christoph J. Scriba, “The Autobiography of John Wallis, F.R.S.,” Notes and Records of the Royal Society of London vol.25.1 (June 1970), p.41. Christopher Kretz, “Duncan Campbell and the Discourses of Deafness,” Prose Studies vol.21.1 (2005): 39-52. John Wallis, “A Letter of Dr. John Wallis to Robert Boyle Esq, Concerning the Said Doctor’s Essay of Teaching a Person Dumb and Deaf to Speak, and to Understand a Language,” Philosophical Transactions (1665-1678), vol. 5 (1670): 1087-1099. William Holder, A Supplement to the Philosophical Transactions of July 1670. With some Reflexions on Dr. John Wallis, his Letter there Inserted, (London: Printed for Henry Brome, 1678), p.2. John Wallis, A Defence of the Royal Society , and the Philosophical Transactions, particularly those of July, 1670; in answer to the cavils of Dr. William Holder (London: Printed by T.S. For Thomas Moore, 1678).